KEW ENGG. & MFG. PVT. 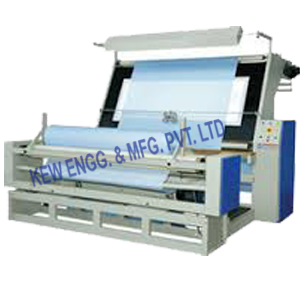 LTD. manufacturer and exporter of Woven Fabric Inspection Machine. Our Woven Fabric Inspection Machine effectively provides you advantages like, Precision meter codec, accurate records of the number cloth. Also, Foot control switch, facility provided to stop the machine at the right location of the defect..